Just 12 days left for submission to the 2018 editions of the Writivism Prizes and the Golden Baobab. Make hay, folks! Writivism has a number of prize schemes. First, the Writivism Short Story Prize which is administered by the Centre for African Cultural Excellence (CACE). This year’s prize is sponsored by The Short Story Club of Malawi. The prize is open to unpublished writers resident in an African country. Submission must be submitted online via info@writivism.com. Shortlisted writers receive USD100 and the final winner gets USD500 plus the possibility of a one-month residency at an African university. The judges for this year’s Short Story Prize are Shadreck Chikoti, Beatrice Lamwaka and Emmanuel Siguake. Full submission guidelines are on the Writivism site here. Next, the Koffi Addo Prize for Creative Nonfiction, administered by CACE and sponsored by the Koffi Addo Family. 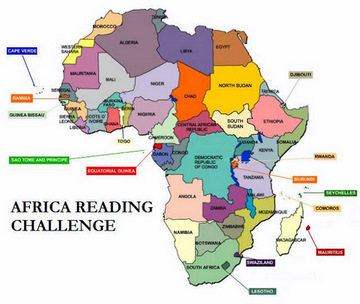 Again, the prize is open to unpublished (meaning book) writers resident in an African country. Winner gets USD500. The judges for the Koffi Addo Prize are Akwaeke Emezi, Daniel Kalinaki and Sumayya Lee. Full submission guidelines can be accessed on the Writivism site here. The Golden Baobab Prize for Picture Books, for the best story targeting a reader audience of ages 4-8. The Golden Baobab Prize for Early Chapter Books for the best story targeting a reader audience of ages 9-11. The Golden Baobab Prize for Illustrators for the best artwork that matches illustration briefs provided, intended for children ages 4-11. Golden Baobab awards are open to African writers. Winners of the prize will each receive USD5,000 plus a publishing deal. Full submission guidelines are available at the Golden Baobab site here. The deadline for all the above prizes is March 31st, 2018. Good luck to all those who submit to these fab prizes!